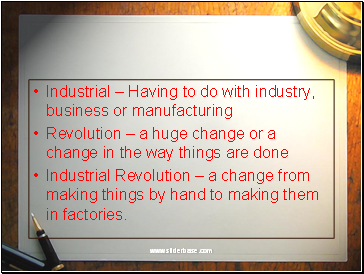 Industrial Revolution – a change from making things by hand to making them in factories. 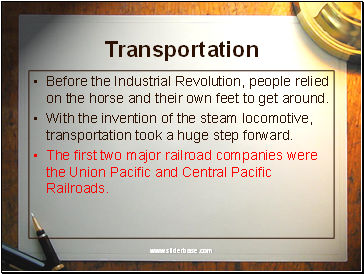 Before the Industrial Revolution, people relied on the horse and their own feet to get around. 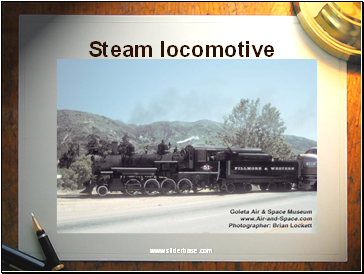 With the invention of the steam locomotive, transportation took a huge step forward. 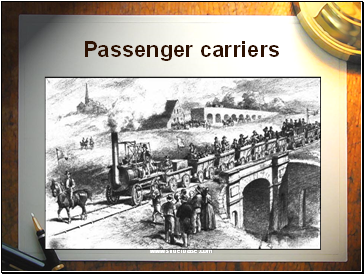 The first two major railroad companies were the Union Pacific and Central Pacific Railroads. 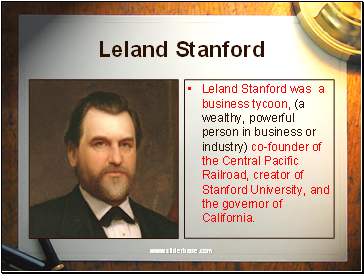 Leland Stanford was a business tycoon, (a wealthy, powerful person in business or industry) co-founder of the Central Pacific Railroad, creator of Stanford University, and the governor of California. 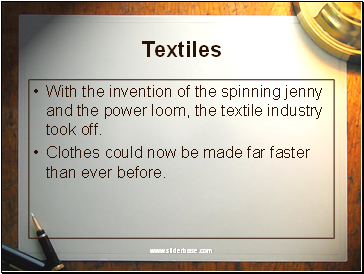 With the invention of the spinning jenny and the power loom, the textile industry took off. 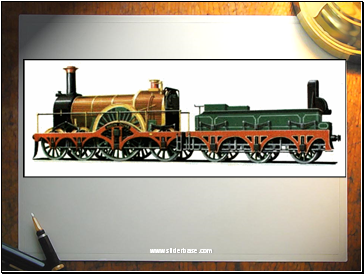 Clothes could now be made far faster than ever before. 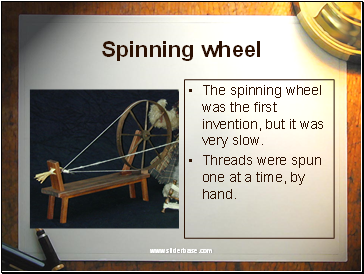 The spinning wheel was the first invention, but it was very slow. 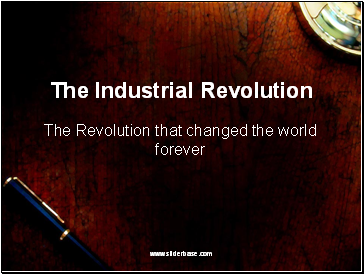 Threads were spun one at a time, by hand. 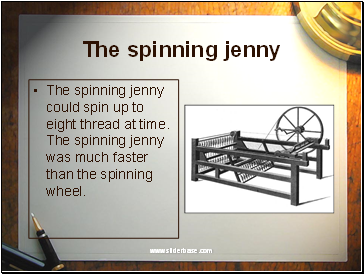 The spinning jenny could spin up to eight thread at time. 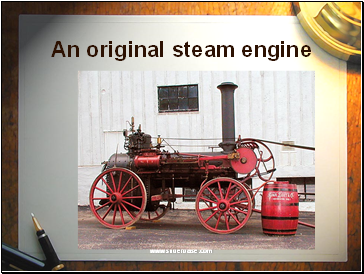 The spinning jenny was much faster than the spinning wheel. 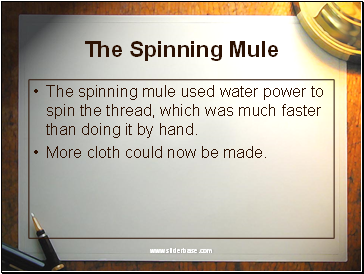 The spinning mule used water power to spin the thread, which was much faster than doing it by hand.